A picture is worth a thousand words, but how can you be sure your company’s photos are saying the right ones? People are inherently visual; we respond to colors, react to faces, and often glean abstract concepts from a seemingly straightforward photo. There’s even science to back this up: it’s called the Picture Superiority Effect. Thus, making sure that the photography in your organization’s materials is in tune with your vision and messaging is as crucial as proofreading your words, maybe even more so. If you have really poor photography, it might turn a visitor off so quickly that they never even read your copy! Having high-quality, well-planned photography is one of the easiest ways to draw visitors deeper into your materials. Photography can be a powerful tool to tell your story. Is your product sophisticated or is it quirky? Is it expensive or affordable? Is it long-lasting or is it disposable? These qualities can all be conveyed by how you present your company visually through photography. 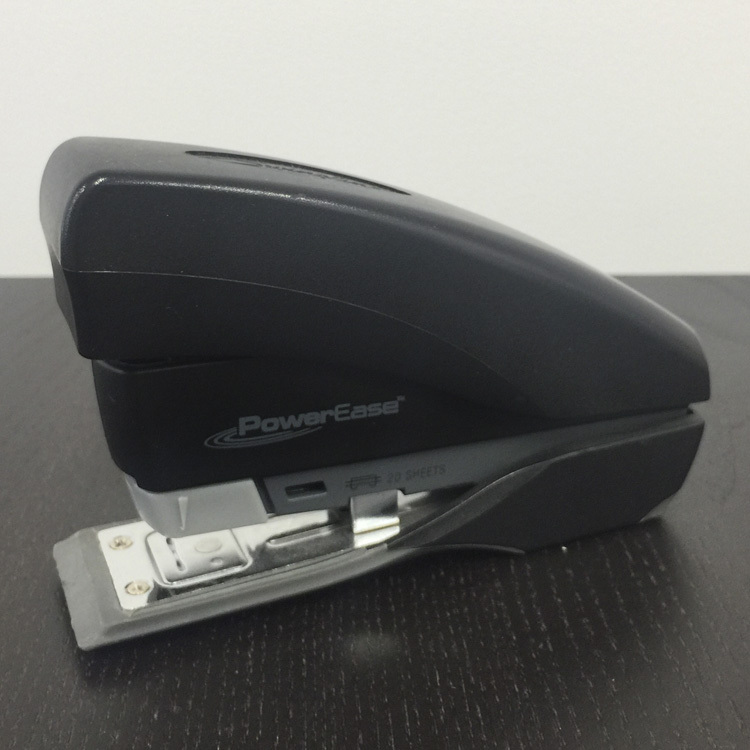 There’s nothing fancy about this or any other stapler. It’s a fairly utilitarian piece of equipment, and the above photo shows it as such. Sure, we could write 500 words talking about the precision stapling action, the sleek, modern design, and the double-action lever that enables you to staple up to 20 sheets of paper with ease. But who has time (or the attention span) to read that much about a stapler? Better yet, we could change up our photography to do all the hard work for us. 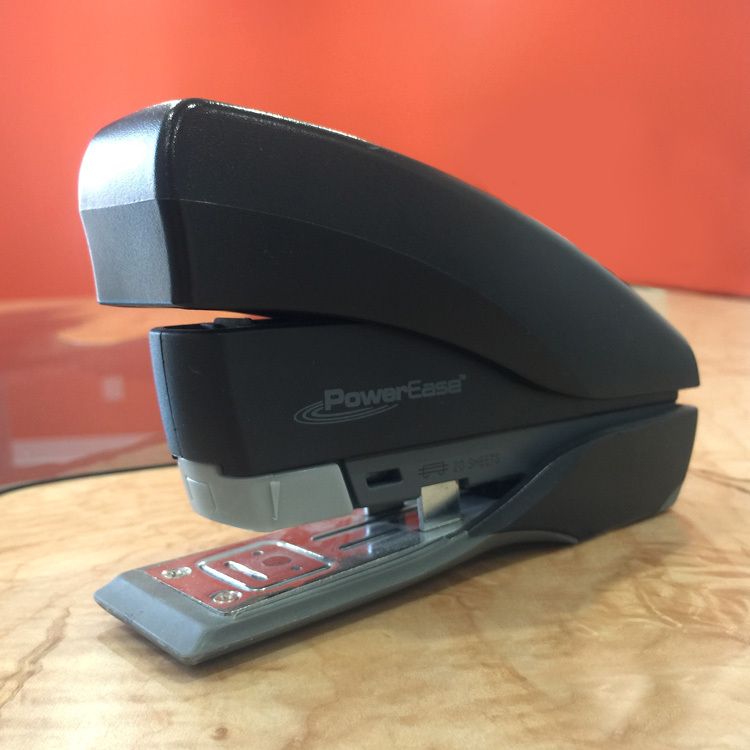 Some nice lighting, a shallow depth of field, and a little staging and careful composition can transform everything about the way this stapler is perceived. Without a single word written, this now feels more like a premium stapler, a trusted, reliable tool, worthy of its place on your desk. As we know, perception is everything in marketing. Influencing perception means more sales for one product over another, even if they’re nearly identical. Ultimately, photography is one of the easiest ways to convey the more abstract qualities of your company’s products or services. Things like trustworthiness, courtesy, kindness, authoritativeness, value, craftsmanship, heritage, and experience can all be shown non-verbally with a few well-planned and artfully-captured photographs. « Don’t let Amazon’s remarketing steal your joy this holiday season!